So… we went to Groundwork, had an awesome time, rode rad trails, drank beer, yadda, yadda, yadda. All very nice, but “where’s the bikes?” I hear you say. Rather than run through the entire 2018 range, I’ve picked out the three most interesting bikes in their line up to talk you through. Want to take a squizz at the rest? Head over to the Bombtrack website or Facebook page, where you can get the full run down. The Hook EXT (£2300) was in Bombtrack’s line up last year. The steel framed bike was designed for versatility and big adventures. The 650b bike is still in this year’s range, but it is joined by a carbon version, which sheds some weight (a claimed 2.5kg to be exact!) and tweaks geometry ever so slightly compared to its metal buddy. Taking a closer look at the frame, it is made out of high modulus carbon, with most of the tubes having a fairly square profile. An eye is firmly set on long adventures with three sets of bottle cage bosses. The chain stays are heavily shaped to give room for 650b x 2.2in tyres, although we reckon you could squeeze something a bit bigger in there too. While the steel bike retains a BSA BB, the EXT-C moves to BB30. It was the only design choice that I was unconvinced by – I’d rather see the simplicity of servicing that comes with a threaded design, especially on a bike that is capable of being taken into the middle of nowhere. The full carbon fork is shared between the EXT and EXT-C and comes with mounts for Anything Cages. The build is a tried and tested full suite of SRAM Rival1 (with an 11-42t cassette). There is the option to use a direct mount front mech if you’d rather run a double chainring though. It’s also good to see British brand Hunt getting their Adventure Sport wheels specced as an OEM choice. The Bombtrack CX-10 bars have a subtle flare to them, but retain the shape of a shallow drop. This was the bike I spent most time on (along with the steel EXT) during Groundwork and the Dirty Boar. It was an extremely fun and capable machine that goes far beyond its “adventure” billing. The 650b wheels and bigger volume tyres are a hoot over rougher ground and there were many times that I found myself choosing “the mountain bike line” rather than smoother options. I enjoyed popping off roots, bunny hopping potholes and drifting through loose corners. The chunkier wheels rarely felt a hinderance other than on smooth climbs and even then, it was only noticeable when climbing next to riders on more nimble bikes (or were maybe simply fitter. I’m keeping the wheel excuse though). You can probably tell that I enjoyed this bike. Based on our short time together, I’ve requested a long term test bike, so we’ll bring a full review when they land on British shores later this year. Look back at Bombtrack’s 2017 range and you’ll see the Audax in there. This years model bears no relation to that, other than name. The team have redesigned the bike from the wheels up. As with the Hook EXT, the Audax is now built on 650b wheels. These come shod with WTB Horizon 47c slick tyres and have turned what was essentially an all-weather road bike into something much more interesting for those of us who like to leave tarmac behind where possible. 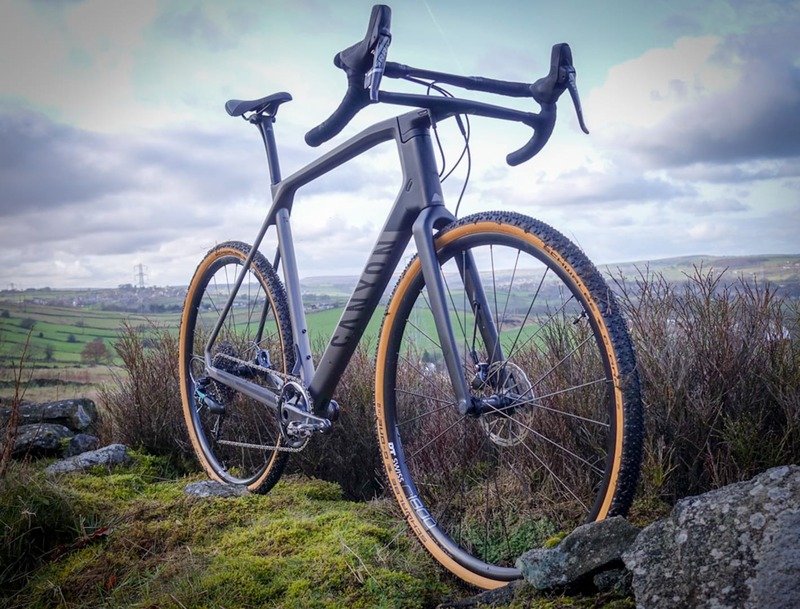 There are of course lots of other bikes in Bombtrack’s range that are more suitable for true off-roading than the Audax (look above and below for example). That’s not to say that the Audax isn’t an intriguing prospect for long distance exploring and linking together back roads with unpaved lanes and gravel tracks. The Audax even shares the EXT fork, for extra clearance and luggage carrying capacity. If we were going on a long road tour tomorrow, we’d be looking straight at the Audax to carry us. The double butted Columbus Cromor steel frame is built entirely with Shimano 105, save for the TRP Spyre cable operated brakes. Hunt again provide the wheelset. I only got chance for the shortest of spins on the Audax, but it felt sprightly in a way that belied the 12.4kg claimed weight. That, combined with a lush paint job had me sold. Bombtrack haven’t done a women’s specific gravel bike until now. The Hook is their longest standing gravel bike and comes as the Hook1 and Hook2 for men. The Hook WMN mirrors the higher specced Hook2. It is a Columbus Cromor double-butted framed bike, with a full carbon fork. As with the men’s Hook, it is designed around a 700c wheel, except for the XS which uses 650b wheels. Bikes come specced with a 38c tyre – there’d be room for a 40c, just but nothing bigger. Geometry is tweaked versus the mens Hook – most notably with shorter top tubes. 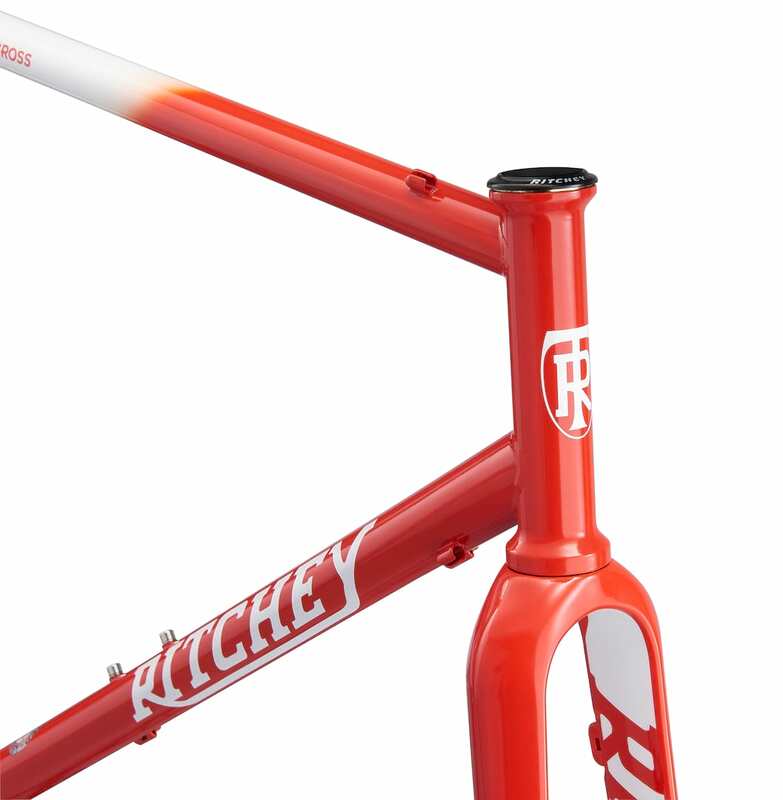 A narrower handlebar and shorter stem also comes as stock. They might have shrunk it, but they definitely didn’t punk, er, pink, it. Spec is mostly SRAM Rival1, but this time combined with TRP Spyre cable operated discs. Now, I clearly didn’t ride the Hook WMN, but did spend some time on the Hook2. It was interesting swapping from the hard-hitting Hook EXT-C to something altogether more precise. I’ll be honest. Precise is a euphemism for nervy here. Fortunately, the nerves were short lived and I quickly got used to the handling, which is actually pretty neutral. Again, the Cromor tubing seems to combine a nice level of flex with enough stiffness to mean that you don’t feel as though you are riding over cooked spaghetti. I didn’t get a great deal of time to ride the Hook2, but warmed to it and if I hadn’t been quite so blown away by the Hook EXT-C, would have happily spent longer getting to know it’s narrower tyred stablemate. So there we have it. Our pick of the pops. To be fair, Bombtrack has clearly spent a lot of time developing their range. It’s nice to see a relatively new company willing to throw themselves into the gravel market. Whatever your preferred niche within a niche, it’s likely that the german brand has got it covered. Full disclosure – Bombtrack covered the cost of Tom’s trip to Groundwork. As a small female (159cm) I can’t wait to try the Bombtrack Hook WMN 2018 XS. I might actually end up with a bike that fits me. There is so little in my size in the cx/gravel category that I can actually ride comfortably. Happy to test and review if you can get me one!